The Cauvery river was recently in news for the water-sharing dispute between the two states of Karnataka and Tamil Nadu. While it is extremely unfortunate that the river is now the major source of spreading hatred and violence between the two states, we must keep aside malice and stay united under one nation. This post is our humble effort to divert the attention from the violence around the Cauvery and focus instead on the top tourist destinations along the banks of this beautiful river. 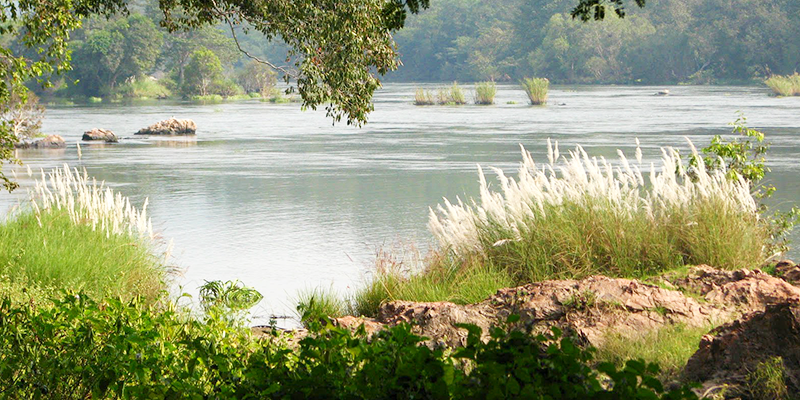 The river originates in Karnataka and passes through Tamil Nadu to join the Bay of Bengal. Along its route, it enriches the agricultural lands and forms the lifeline for India’s major rice production deltas. The river has a lot of history, culture and literature attached, making it an inseparable part of Tamil and Kannadigas’ life. Cauvery river originates from this point. Situated close to Madikeri, in the Coorg district, Talacauvery is famous for its pilgrimage destinations in Shiva temple and the Ganesha temple. Each year thousands of tourists pay a visit to these twin temples. It is believed that a dip in the holy river will wash away one’s sins and usher prosperity into lives. The main shrine at Talacauvery is dedicated to Agathiyar, a hermit who as per mythology carried the mighty river in a bowl in his hand. The myth goes that when he kept the bowl on the land at this place, the river started to flow from it and has been flowing since then for centuries. 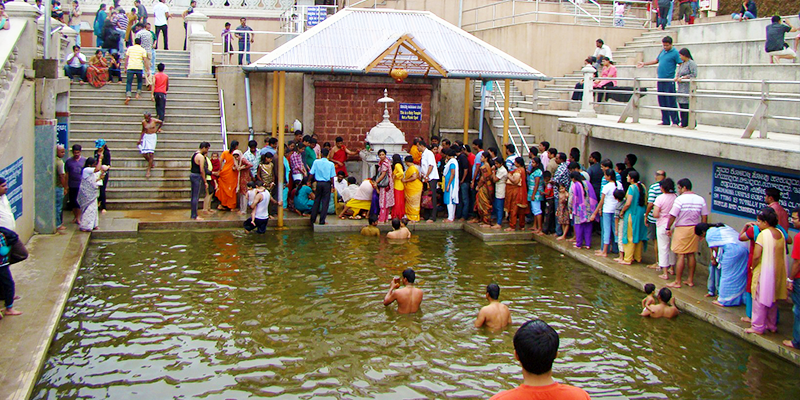 Srirangapatnam is a river island formed by the river Cauvery, close to Mysore. This island is a buzzing tourist destination where history has stamped the presence of several rulers in the past. In a sense, this town is a chronometer for South India’s rulers as practically all major dynasties have left their mark here. Especially, this town is closely associated with Tipu Sultan, the legendary ruler from Karnataka. His summer palace is one of the major tourist attractions in Srirangapatnam. Other major attractions of the city include Ranganathar temple, Jama Masjid and Colonel Bailey’s Dungeon (a jail during the British period). Bheemeshwari is a serene eco-tourism and adventure hub located between the Shivanasamudra and Mekadattu Falls in the Mandya district of Karnataka. The town is also located on the periphery of Nagarahole National Park and hence it is a prime spot for wildlife enthusiasts to observe elephants, deer, wild boars, otters, crocodiles and even leopards. However, a major attraction that pulls people to Bheemeshwari is fishing. The finest game fish in India – Mahaseer is found in abundance in this river town and has led to the sprouting of several fishing camps. There are many other adventure camps along the river bank here to quench your appetite for adventure. Do you remember the beautiful cliff from where Abhishek Bachchan dives into the river in the movie “Raavan”? That is Hoegenakkal for you. This is where the river is at its ferocious best, falling from several cliffs into the plains and crashing against the rocks. 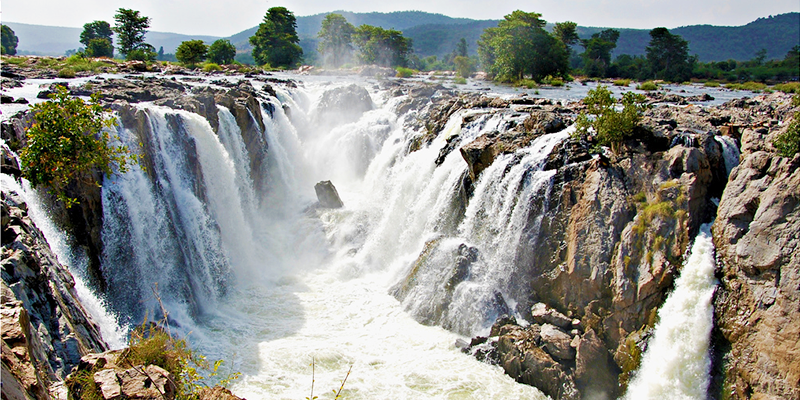 The Hogenakkal waterfall, on the Tamil Nadu- Karnataka border, is a very popular tourist destination. It is a thrilling sight to see the local boys dive from the top of the cliffs into the river. It is also a foodie’s delight to see fresh catch from the river fried and plated right before you. The Metur Dam is one of India’s largest dams and this is Tamil Nadu’s major water bowl for agriculture and irrigation. This dam, built in 1934, is situated right where the river enters the plains. The dam along with the Park, power station and the surrounding hills make it a major tourist attraction. When this large dam releases water through its 16 large gates, it is a sight to behold. And many tourists watch this splendour from the top of a bridge across the dam. 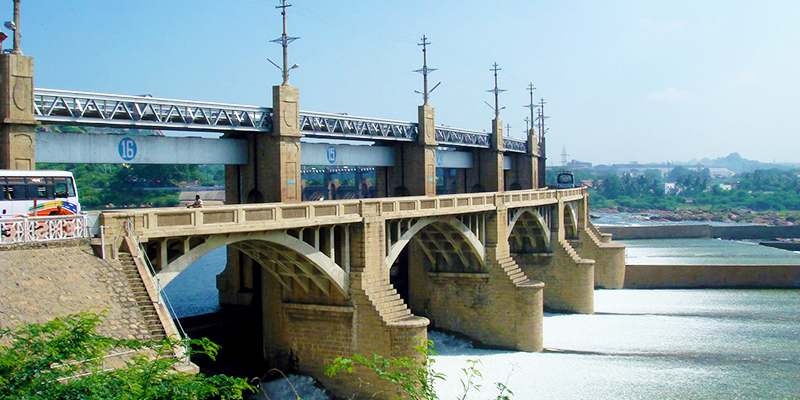 The river Cauvery also joins with its twin river Kollidam in Tiruchirappalli, also known as Tiruchi. Also known as the Temple City, it has a list of great temples. The temple at Srirangam is a famous Vishnu temple whereas the temple at Thiruvanaikaval is a famous Shiva temple. 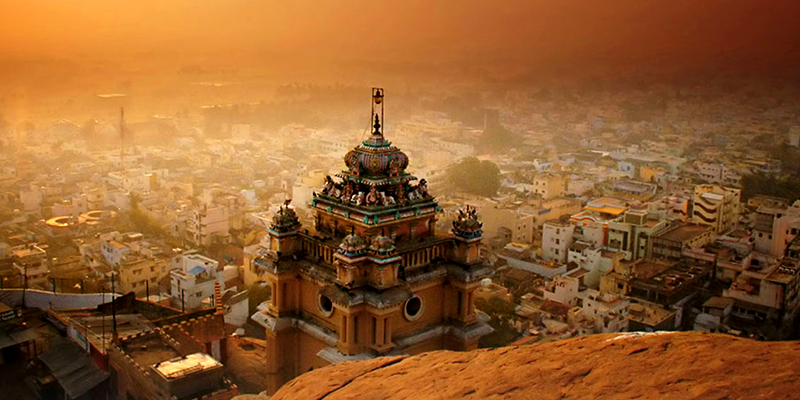 In addition, there is also a rock fort and a famous Ganesha temple on the top of a huge rock. Kallanai, the oldest man-made dam in history, built by the great Chola king Karikala, is also a major tourist attraction. So, water has always been a treasure for the people of Cauvery delta. 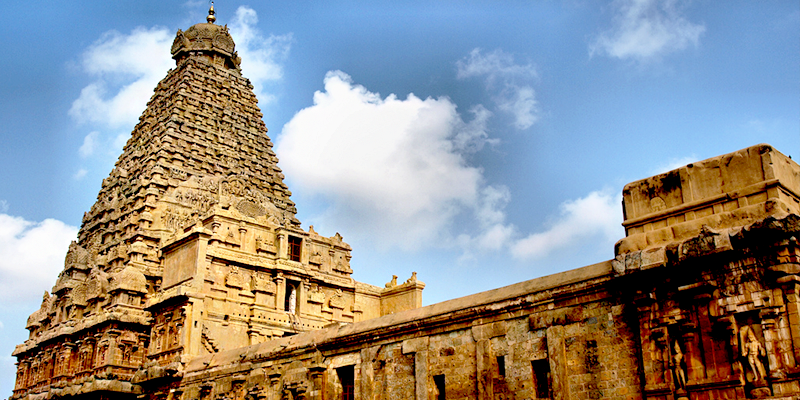 Thanjavur was once the capital of the mighty Chola empire and it flourished with the help of the Cauvery river. Rice was cultivated in heaps in the delta and there are even songs in Tamil literature that portray the agricultural prosperity of the Chola kingdom because of the Cauvery river. 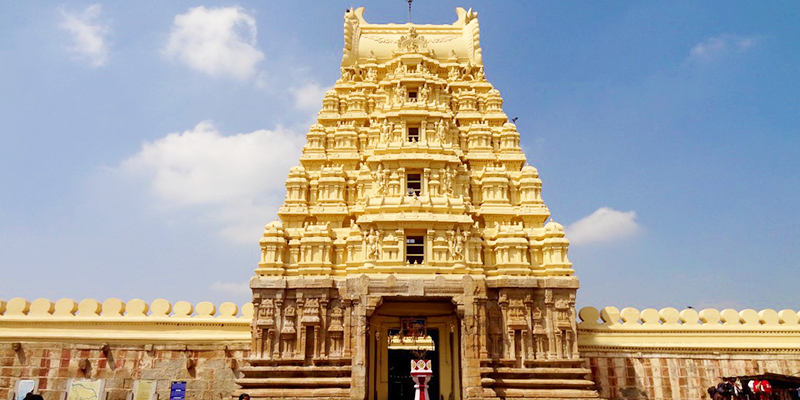 The city is on the map of UNESCO’s world heritage sites for its Brahadeeshwara temple, which is also called as the Big Temple. This temple, built by Raja Raja Chola is an architectural marvel and it can leave you in awe at the skill and prowess of the architects. Thanjavur also has the famous Vijanagara Fort, which was home to the popular Maratha ruler Sarfoji, a great scholar and connoisseur of arts. 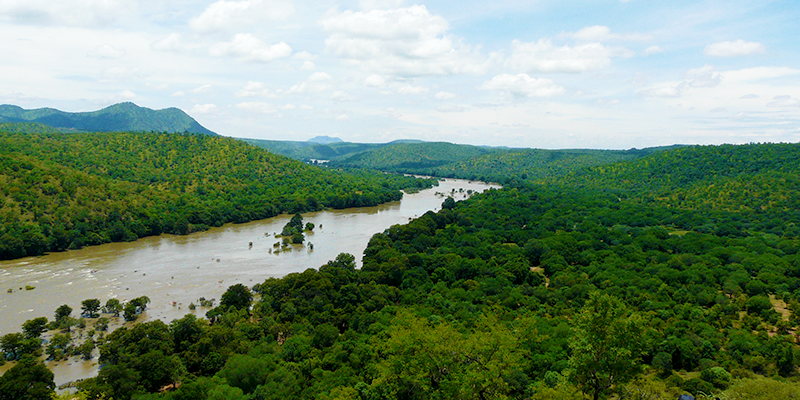 We would just hope that the people on either side of this marvellous river would find a way to settle their disputes and Cauvery river will again be known for the right reasons. Next articleWill Hyderabad Metro save the city from its traffic woes?